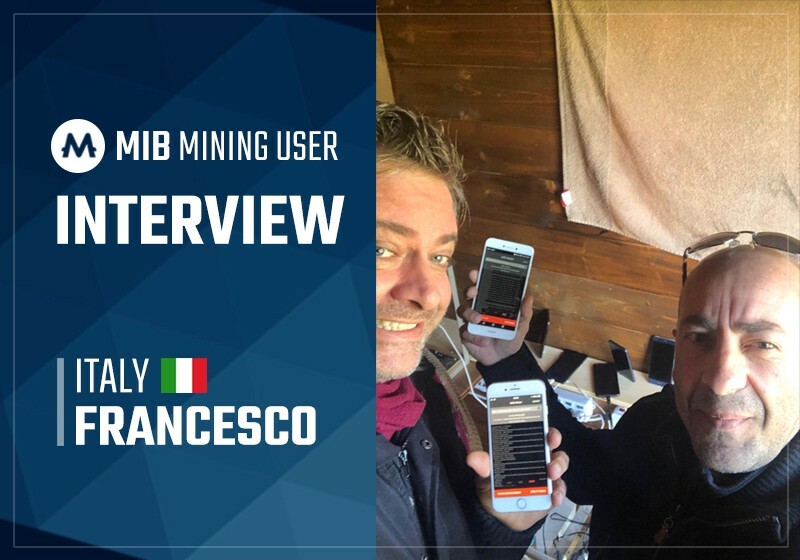 MIB Team holds an interview corner where MIB mining participants introduce their user experience. These interviews will be published in MIB official website and social channels. Please leave a message to my Telegram ID ( @RayLim1217 ) if you are interested in the interview. Hello, I m Francesco and I come from Italy. I work as generale manager in a big telecomunication company. I have many hobbies and interest, like running, I love it travel and go out with my friends. 2. How did you first start MIB? Well, I started with my friend to have more the information we could find on Mib crypto coin, since april 2018. On tue 12 tu of Novembre. We are defenitly excited to start mining with our seven device. Actually we Improve our smartphone and our hashrate is almost 5.50 mh/s. We still find out new device and we believe to arrive at 50℅ hashrate more at tue end of Febrary 2019. 3. How do you think about MIB? I believe it would be a great opportunity to invest a part of our resurce. I believe and I hope Mib will increase ase bis valute ad much as possibile.